Victoria Collier, Attorney, has been practicing exclusively in the area of Elder Law and VA benefits since 2002 and founded The Elder & Disability Law Firm of Victoria L. Collier, PC. 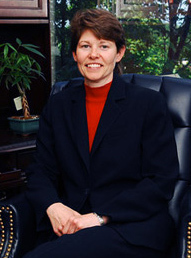 Her accomplishments include: Admitted to the United States Supreme Court, 2008; Appointed by Governor Perdue, Georgia Council on Aging, Advisory Board, 2010; State Bar of Georgia, Elder Law Section, Chair, 2010-2011, Vice Chair 2007-2009; Atlanta Bar Association, Elder Law Committee, Chair 2004-2005, Vice Chair 2003-2004; National Academy of Elder Law Attorneys (NAELA), Member since 2002; NAELA, Georgia Chapter, Chair 2008; United States Court of Appeals for Veterans Claims, admitted 2007; Academy of Special Needs Planners – Charter Member; American Parkinson’s Disease Association, Georgia Chapter – Executive Board Member, Secretary (prior); Georgia Super Lawyers, Rising Star 2005, 2009, 2010, 2011, and 2012 editions; Co-Founder of Lawyers with Purpose. Additionally, Ms. Collier is a published author of: 47 Secret Veterans’ Benefits for Seniors…Benefits You Have Earned but Don’t Know About, (2010), available on Amazon.com; 47 Secret Marketing Strategies for Veterans Benefits Attorneys, (2010); Co-Author, Running Through Life’s Lesson; Co-author of VisPro software for Veterans Benefits Applications, Co-author; Law Review Article: Cracks in the Armor: Due Process, Attorney’s Fees, and the Department of Veterans Affairs, The Elder Law Journal, Vol.18, No.1 (2010); Thinking of Hiring A Geriatric Care Manager? Integrating Geriatric Care Management into Your Law Practice , Elder Law Advisory, October 2007; Georgia updates its confusing advance health directives , ElderCare Matters Fall/Winter 2007; Continuing Care Retirement Communities: What Do We Tell Our Clients? , Elder Law Advisory, October 2006; Asset exemption may end benefits for some , ElderCare Matters Summer 2005; and creator of In the Trenches and other Veterans Benefits Training courses for lawyers.